Dmitry Medvedev has held a meeting with the heads of Russia’s leading online media and popular internet personalities to discuss copyright protection, data security and responsibility for posting information on the web. 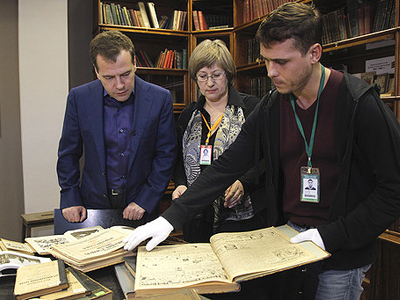 The meeting took place in the freshly renovated All-Russian Children’s library. It was attended by the heads of several online media and conventional media with strong online presence, executives from leading Russian internet companies and several popular bloggers. 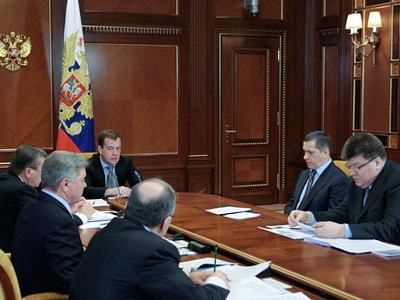 Russian Minister of Communications Igor Schegolev was also present at the meeting. The Russian president said that he considered it important to provide most favorable conditions for development of the internet and online media in the country. “The president’s task is in making correct decisions in the field of regulating the relations within society, and the internet is a part of these relations,” Medvedev said. He stressed that this did not mean imposing any bans on this area. “When they start talking about regulating the internet, a feeling emerges that the state wants to thump its paw and create restrictions that only exist in some specific countries,” he said. The Russian president went on to say that Russia could enter the international arena with a suggestion to regulate copyright on the internet. As a professional lawyer, Medvedev explained that the older model of copyright based on the absolute property right and full control over objects of property is no longer working in the modern world. 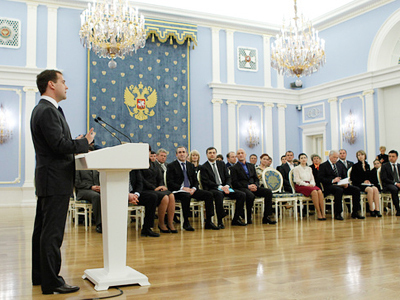 “I think that the fundamental approaches must be reconsidered, not just technical ones,” Medvedev said. He also added that paradoxically, Russia’s general slackness and legal nihilism could help in developing this new approach. “Maybe it will be easier for us to develop some new criteria than for those who are used to thoroughly following the law, including the copyright law,” he said. “We are constantly being reminded that we have widespread piracy, that we do not observe the copyright law. I think this is a cause to propose, in essence, new reference points,” the Russian president said. At the same time, he stressed that this did not mean the full abolition of copyright. “It is possible that in five or seven years the older regulations come into full and resolute dissonance with the way the information exchange is working and the way of copying and use of copyrighted objects. 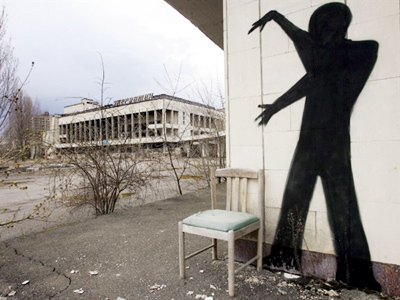 Then, the Rubicon will be far away, while now we are at the crossroads,” Medvedev said. He added that he was ready to consider the suggestions from the internet community and forward them to the world leaders at the nearest session of the leaders of the Group of Eight.